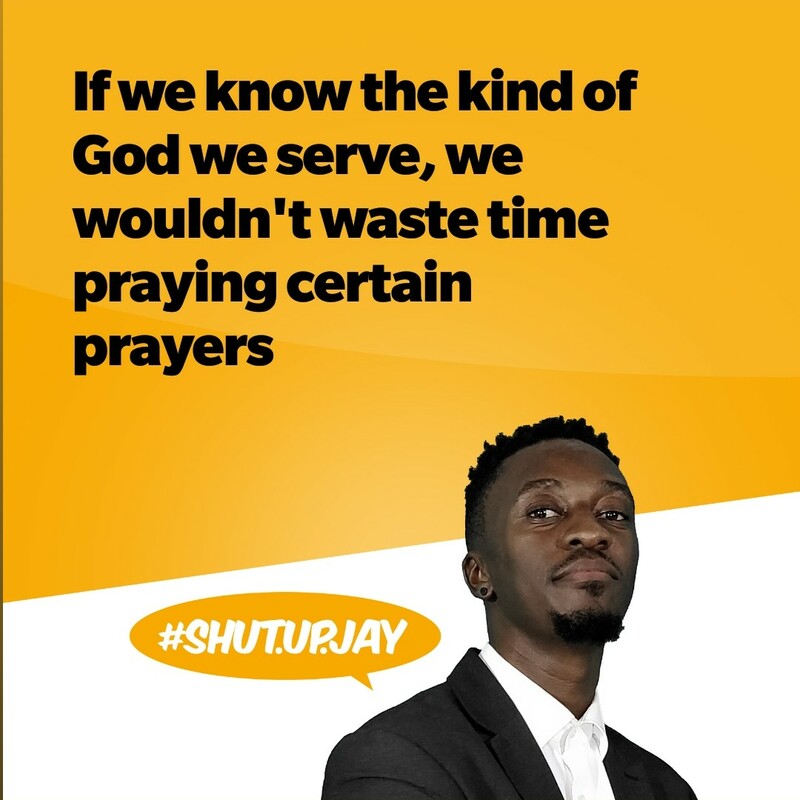 I once heard a very successful Pastor quote "if we know the kind of God we serve, we won't bother praying some prayers' I thought about it back then and it made sense but not as much as it does now. Today, hundreds of people gather and pray about all sorts of things, from getting rich, to killing their enemies (whether they are at fault or not), for traveling mercies, business deals (whether good or bad), child birth, marriage (whether to someone's husband or wife), jobs etc and some will go to great lengths to see to it that their prayers are answered. But the truth is, God won't answer them because that's not His will for your life. Imagine Joseph worrying his head day and night praying for God will kill his enemies. Going from one pastor to the next asking them to help him. Buying anointing oil and anointing himself everyday. Fasting continually so that God will change his story. Imagine Job praying day and night for God to change his story? Or the Disciples praying to God that he should kill all the Jews and Romans chasing them to kill them? They would have wasted a lot of time praying and God wouldn't have moved one bit because God has a plan and a purpose for all of us (Rom 8:28) and if you don't know the will of God for you, you will spend all your time praying over things that are MEANT to be. It is my prayer that you understand His will for you and pray accordingly. And when you figure it out, ask anything according to His perfect will for you and see if He won't honor his word. I John 5:14 This is the confidence we have in approaching God: that if we ask anything according to HIS will, he hears us.